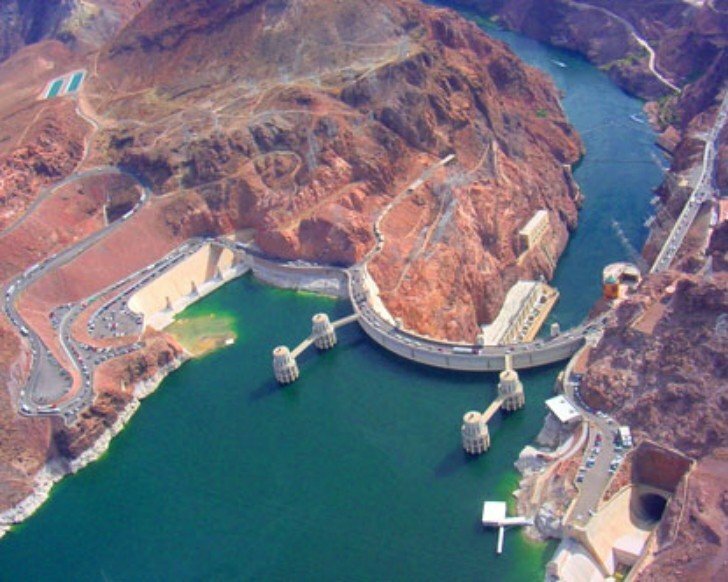 Cement grouts are used in a wide variety of construction projects - like at the Hoover Dam and Lake Mead - ranging from new construction to rehabilitation. Unique among all cementitious grouts produced in the world today, US Grout's cementitious grouts are American made, strengthened and made exceptionally enduring with the same pumice based Pozzolan technology the Romans used in their concrete over 2,000 years ago. Developed by the U.S. Department of Energy (DOE), Ultrafine is typically superior in injectable performance, and densifies more than any cementitious grout available in the marketplace. With an average particle size of 3 microns in diameter, Ultrafine is composed of a finely ground mixture of Portland cement, pumice and dispersant to penetrate fractures as small as six microns and as deep as three meters. Ask an engineer to list the characteristics of a superior grout, you would likely hear the following: resistance to chemical attack, wide range of water-to-cement ratios, adjustable rheology and set time, quality controlled manufacturing, expert technical support and a safe-to-use, and non-hazardous product to name a few. These are all proven characteristics that make up US Grout's Ultrafine Cement. Avanti is the exclusive distributor for Ultrafine SD and ND from US Grout providing education, marketing, and specification assistance to engineers and facility owners.